The mother-son duo landed at Jaipur airport on Monday noon. This will be the fourth time that Vadra appears before the agency. 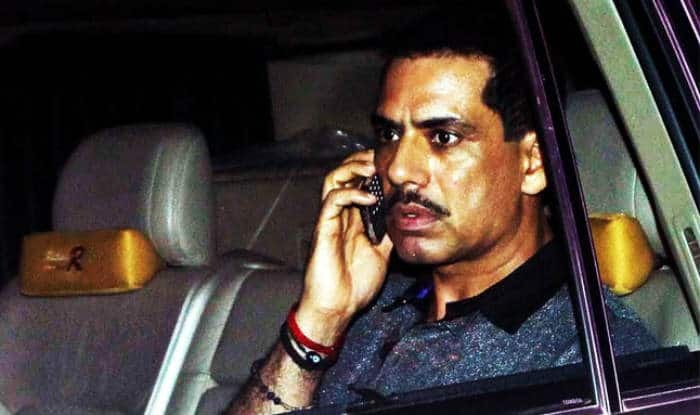 Jaipur: Robert Vadra, Congress President Rahul Gandhi’s brother-in-law, is expected to make a fresh appearance before the Enforcement Directorate on Tuesday in Jaipur in connection with a probe into an alleged land scam in the Rajasthan’s border town of Bikaner. Vadra’s mother Maureen is also likely to appear before the central probe agency at about 10 AM at its zonal office on Bhawani Singh Road in Jaipur. Meanwhile, Varda’s wife Priyanka Gandhi Vadra also arrived in Jaipur on Monday night, after holding a mega roadshow along with her brother Rahul in Uttar Pradesh’s Lucknow. Ahead of her debut visit to UP as Congress general secretary, Vadra, in an emotional Facebook post, said she was a “perfect wife” and “the best mother” to their children and now the time had come to hand her to the people of India. On last three occasions, Vadra appeared before the ED in Delhi in connection with a money laundering probe against him for his alleged role in procuring assets abroad in an alleged illegal manner. The Investigating Officer of the case will record the statement of Vadra and his mother under the PMLA. Vadra has denied any wrongdoing in connection with the land deal and the Congress had claimed that the case was a result of "sheer political vendetta"